Little Fur Ball Guinea pig rescue is small all-volunteer organization and sanctuary for aging and/or medically un-adoptable guinea pigs. 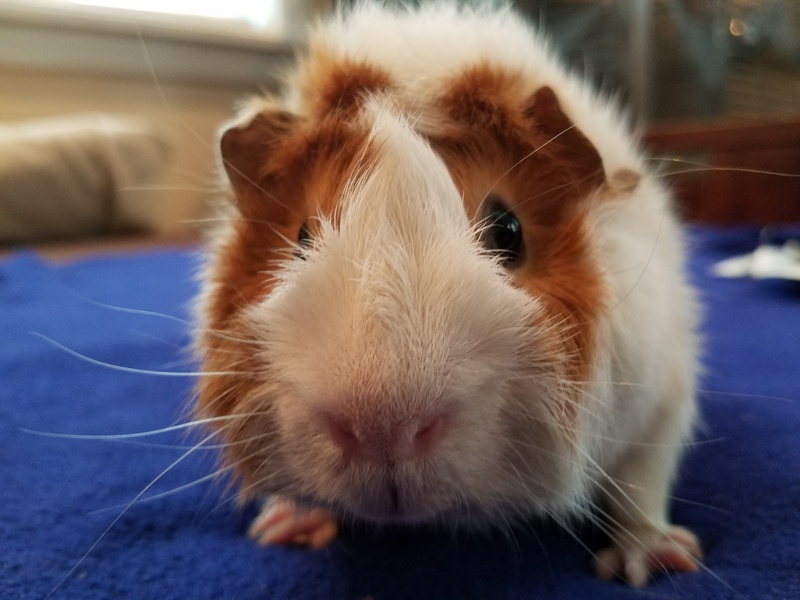 Our volunteers and foster homes work tirelessly to help, provide, and create a loving environment for all of our rescued guinea pigs while they wait for a forever loving home. We have a handful of fosters homes, mostly located in Montgomery County and Bucks County, PA. However we do help guinea pigs in the surrounding counties. Our main priority and focus is to rescue as many guinea pigs from high-kill shelters as we have the space for. We also take in unwanted guinea pigs from the local community when we have the room, please email the rescue for space inquiries. Sometimes, we will take in hamsters, small birds and other small critters. (when we have the space to do so). Our adoptions are handle via email. We will send the application directly to your email. Once your application is approved, you will then be contacted by the foster home to set up a time/date to meet in a public location to pick up your new family member. If we have any supplies such as a suitable sized cage, water bottle, piggie hut, or food dish, this will all be included with the adoption. 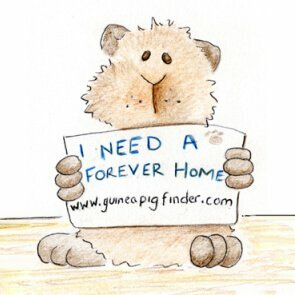 Please also visit our site at www.adoptapet.com for a complete listing of all of adoptable piggies. We also list the supplies included with each profile. Guinea pigs are loving little creatures that make great pets for both the experienced and first time pet owners. They are smart, fun to watch and even play with and most are even great with kids. Please note: Anyone with allergies may find owning a guinea pig dreadful. Guinea pigs NEED timothy hay every single day, there is no way around it. Timothy hay keeps their teeth from overgrowing and their digestive system healthy however Timothy hay can trigger a severe allergic reaction and asthma like-symthoms in some people. 1 guinea pig: 30" x 45"